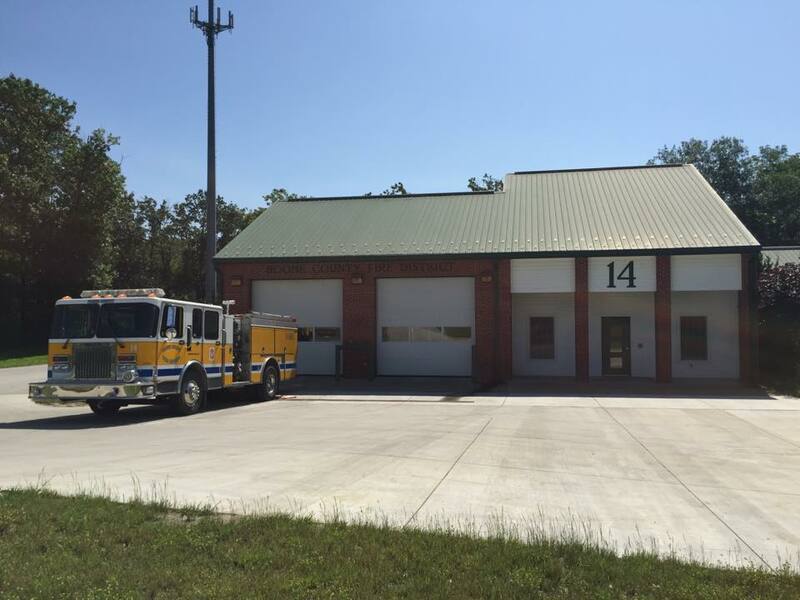 Station 14 is one of Boone County Fire Protection District’s newest stations. 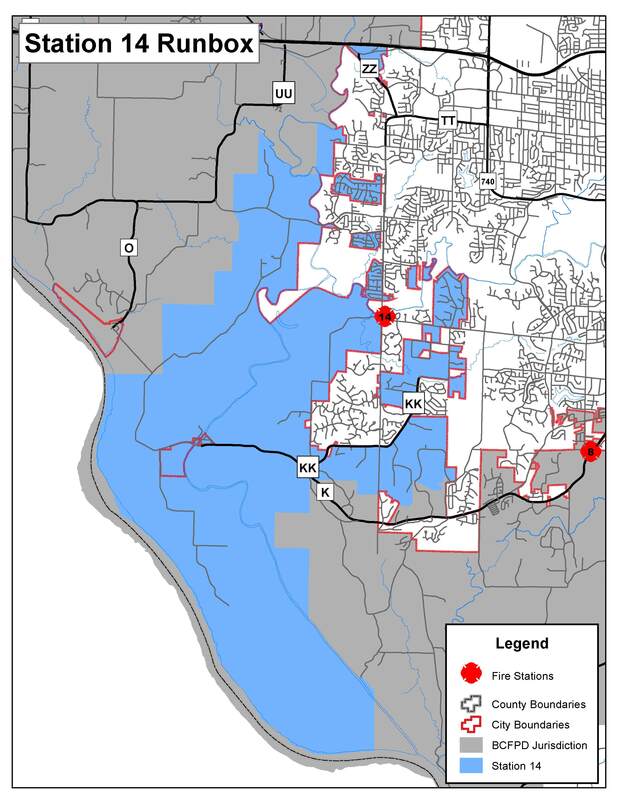 It’s inception came in 2002, when it became necessary to add something to the southwest portion of the county to keep Station 8’s (Rock Bridge) territory a reasonable size. 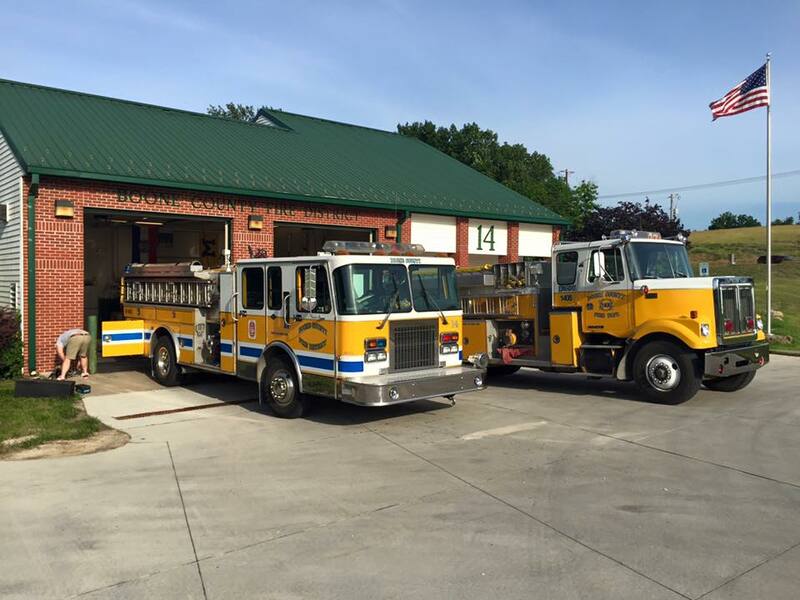 Station 14 is located at the roundabout at Scott Blvd and Vawter School Rd, and serves the citizens of southwest Boone County, Southwest Columbia, McBaine and parts of Huntsdale. 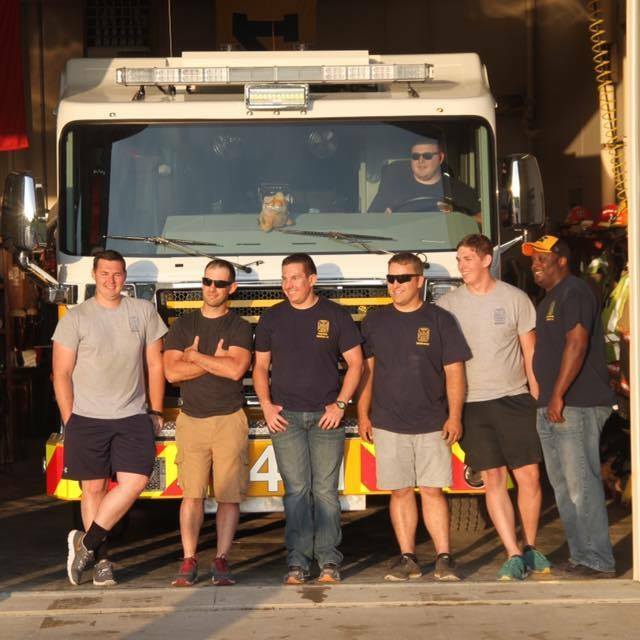 Station 14 is a single engine company station, unlike most other stations in the district. This means that the station only houses a fire engine. 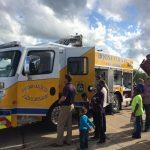 Other stations feature apparatus such as water tankers, rescue squads, brush trucks, hazmat units, air trucks, parade engines, and boats. 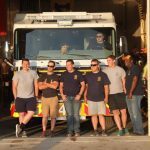 Future plans include housing a brush truck for medical responses and to increase the longevity of the fire engine. 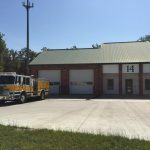 The station is newly renovated and features 8 resident rooms, a full kitchen including 2 full size refrigerators and freezers, an office, a training room, a workout room, a storm shelter and a living room with a top end entertainment system for the resident firefighters. 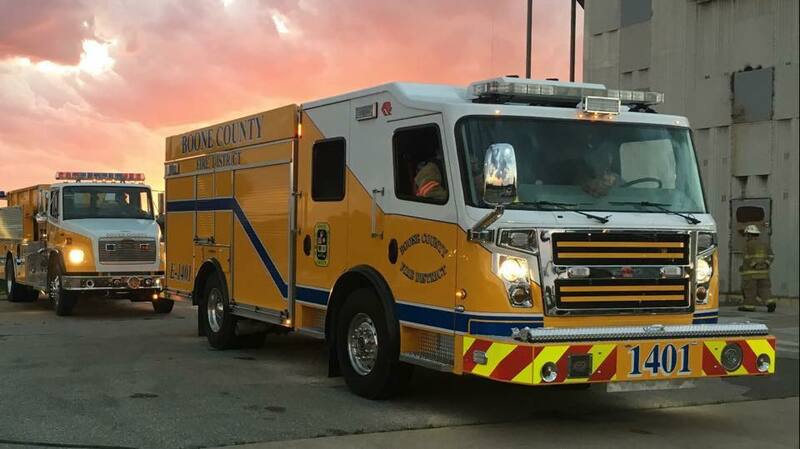 Being a single company station, every one of our dispatched calls is for the same truck, making it the busiest engine company on the district most months. 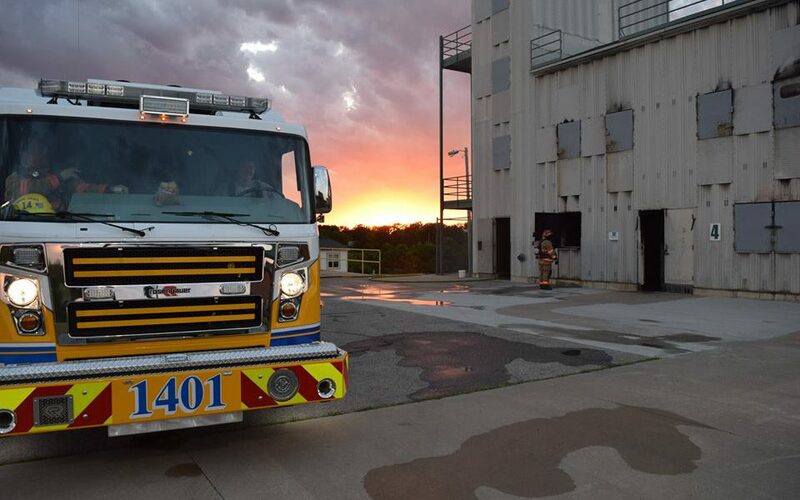 Over the last 6 years, Station 14 has averaged 410 emergency calls per year! 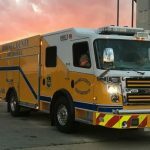 Being a station located away from major highways and very near several large neighborhoods, our calls are mostly medical in nature. This is true of most fire stations on the district and the country as a whole, but is particularly true here for us. If you find yourself in the area, please stop by! 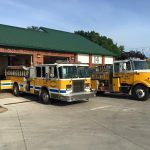 We are always happy to show off our shiny new truck and station amenities as a thank you to the citizens who support us personally and financially. 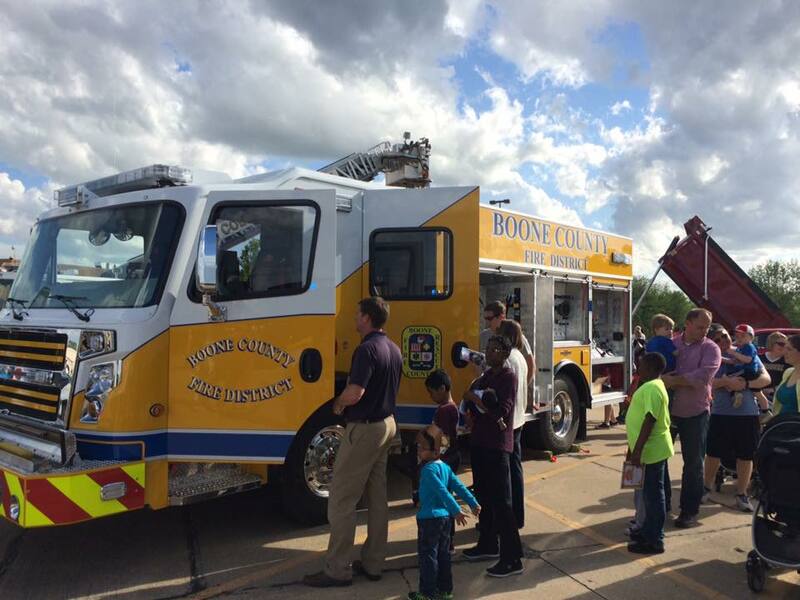 We have several large events planned every year, including a Halloween open house with truck tours and hose spraying activities. We would love to see you!